← Sweet as ……. tablet? The humble scone. You can’t beat it. My personal favourites are served at Go Bang in Petone and at Maranui Surf Club in Lyall Bay – both happen to be orange and date. 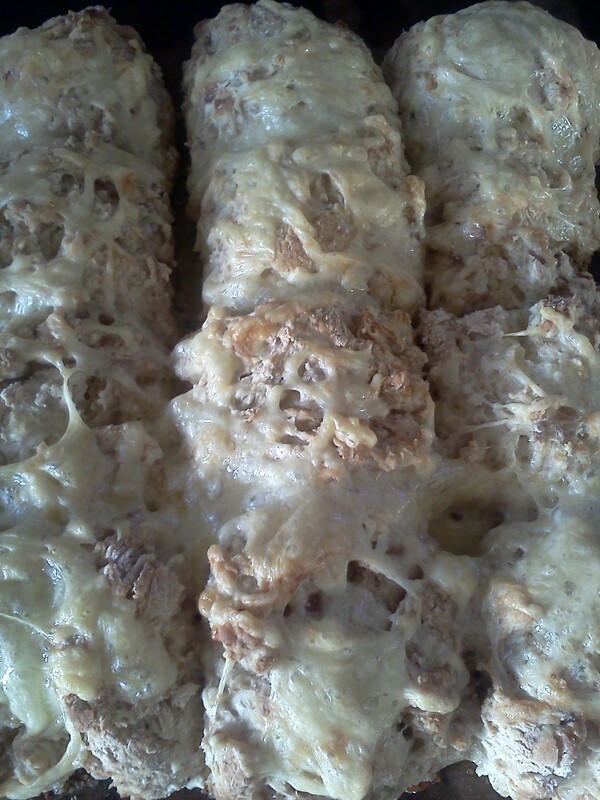 I also can’t go past a good old cheese scone, which Go Bang turns out superbly too (there’s not much they don’t!). While making a batch last week, I decided to have a bit of a play. So tasty was the result that I ended up making four batches over the course of the week. My secret ingredient is onion marmalade. I’m sure I’m not the first to discover how good it is in scones – it’s just that I’ve never come across them before in the (many) cafes I frequent. I always have a jar of Barkers onion marmalade in the fridge – it’s delicious and a great stand-by when you haven’t got time to make it yourself. I recently had a request for ‘something easy a bloke can make’ (to be fair Mike M, if you can’t make panzanella, I’m not sure you and the kitchen will ever be mates). This, coupled with a reminder from a workmate that she was looking for my scone recipe, has prompted the post. Turn your oven to 230C and line a tray with baking paper. 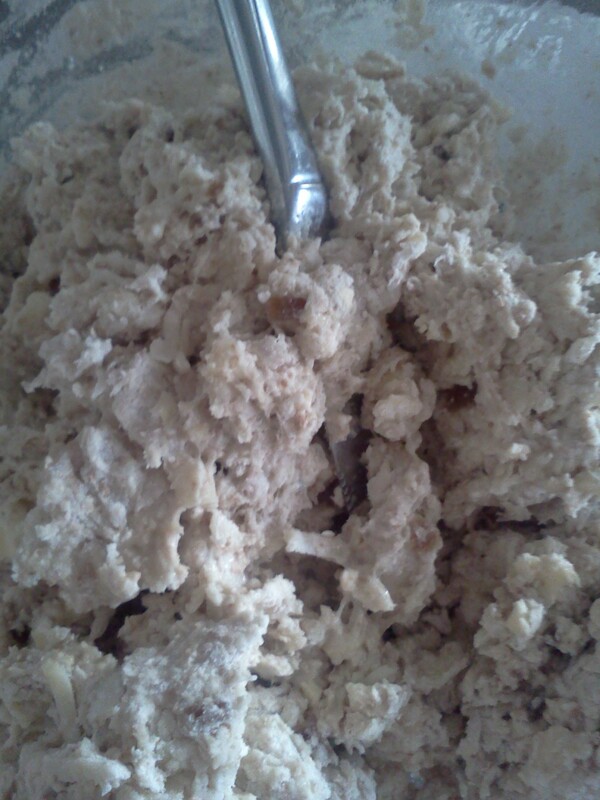 Sift 1 3/4 cups plain flour, 1/2 cup wholemeal flour and 5 teaspoons baking powder into a large bowl. 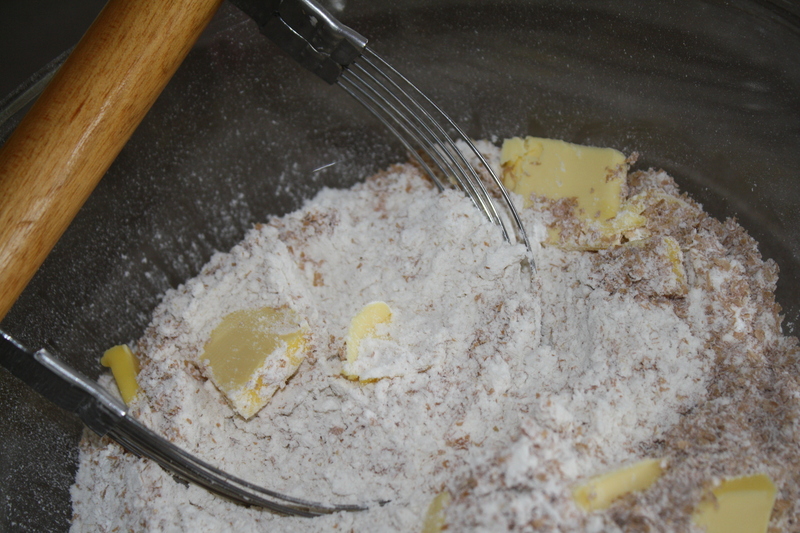 Add 50 grams of butter, cubed, and rub until mixture resembles fine breadcrumbs. I use one of those wire thingees, which makes it a bit quicker. 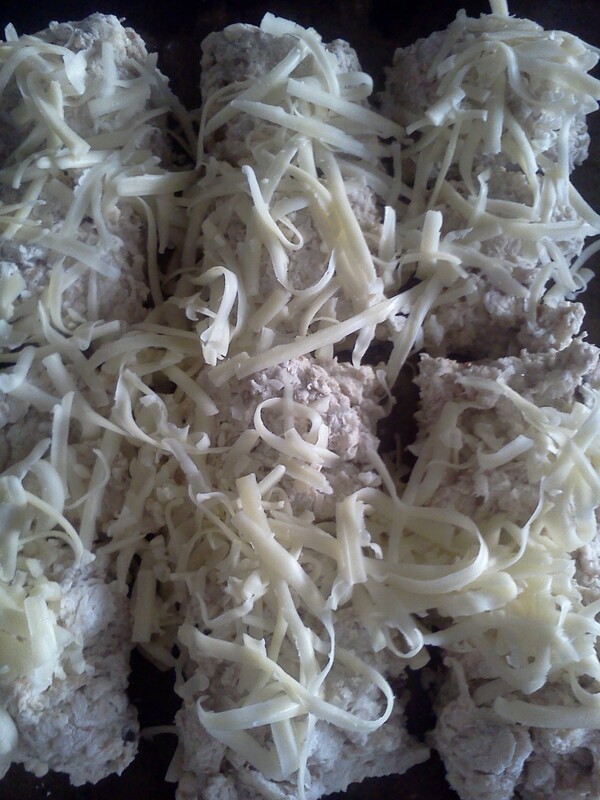 Mix through 3/4 cup grated cheese (edam or tasty work well). 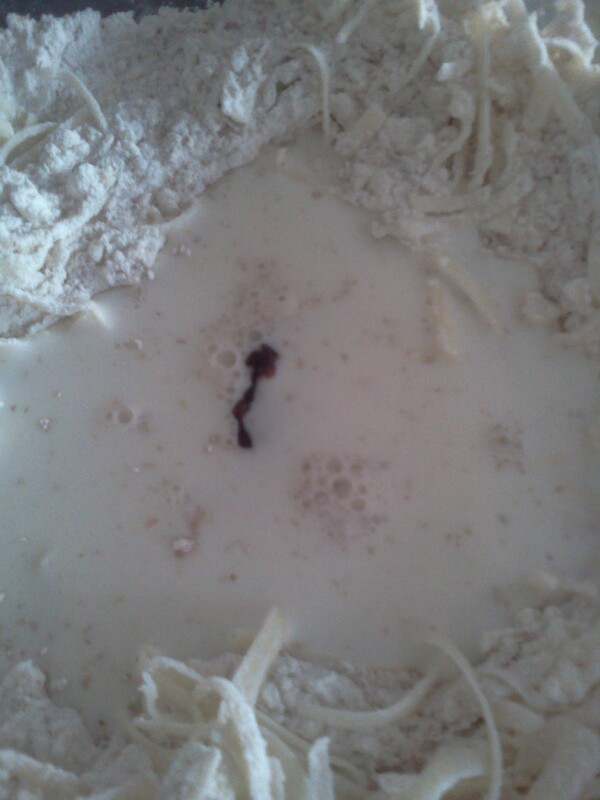 Make a well in the centre and pour in 3/4 cup milk mixed with 1/4 cup water. 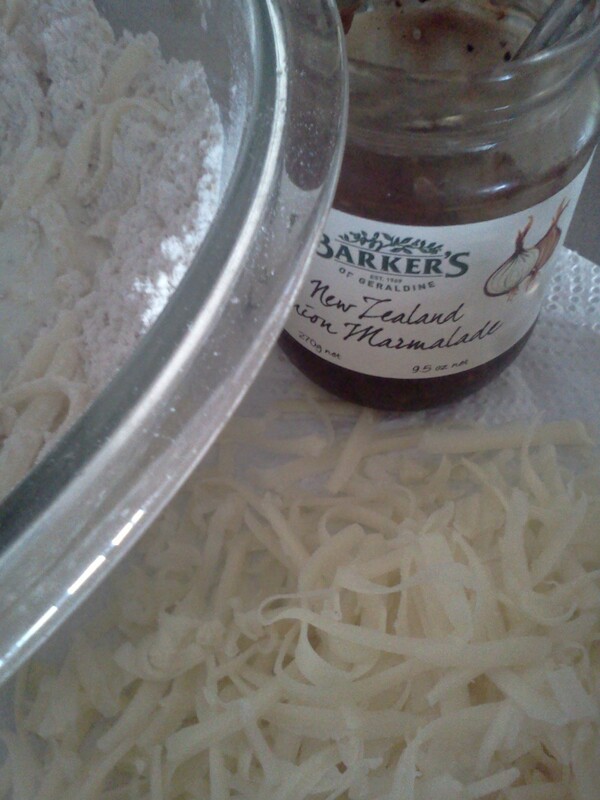 Add 2 heaped tablespoons of onion marmalade. Dust some flour onto a clean, cold bench. 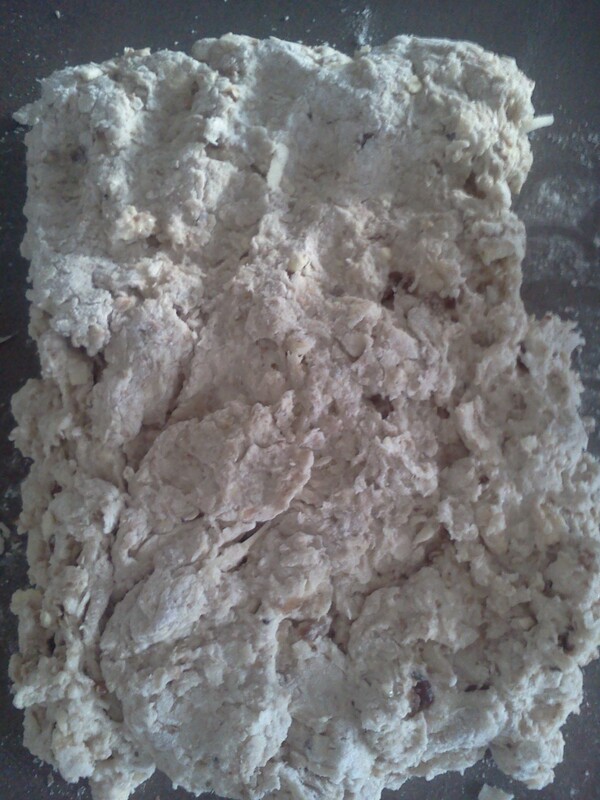 Shape the dough into a rectangle, without kneading. I usually turn it once or twice. Cut into squares – I make 16 smallish scones, but you can make them any size. 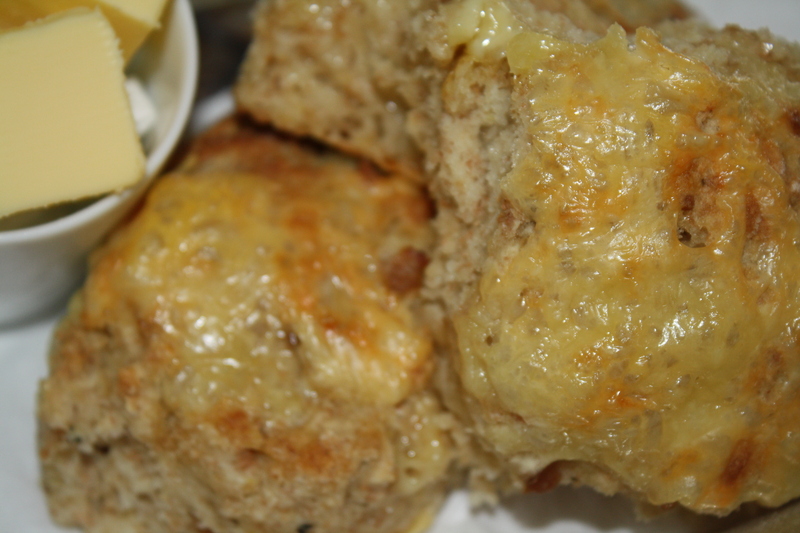 Transfer the scones onto the baking tray – put them reasonably close together, with maybe a centimetre between each. 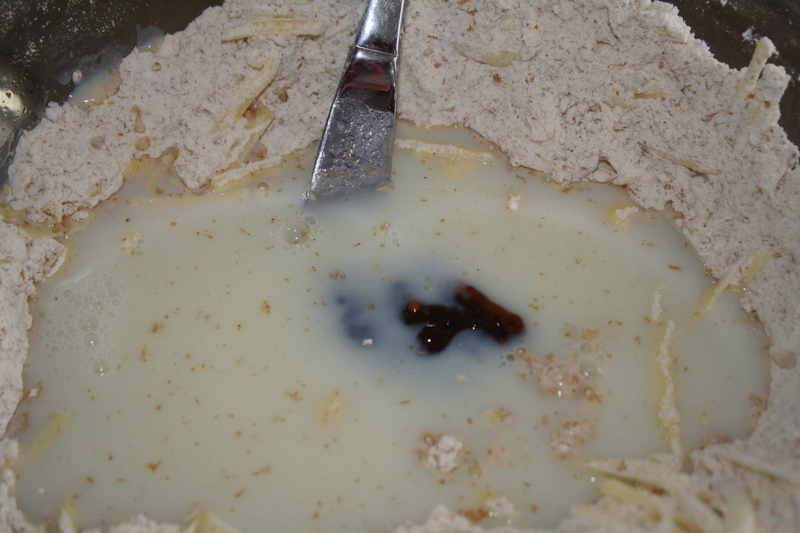 Sprinkle the top with more grated cheese (about 1/2 cup). Bake for about 12 minutes (I check at 10). Remove from the oven and slide the scones (on the baking paper is OK) onto a clean teatowel and cover for five or ten minutes. Serve with lashings of butter. I challenge you to stop eating at one! Oh, and PS (and nothing to do with scones), a big thanks to Kath and KM for providing me with lemons after my SOS. There’s nothing like them fresh from a tree. IOU! 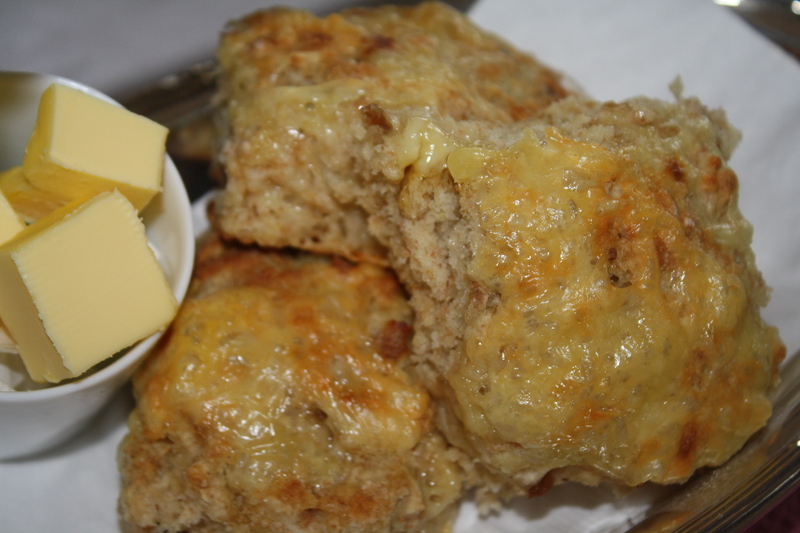 Oh my goodness I am drooling thinking of a Go Bang orange and date scone – my absolute favourite!! Sadly I have never ever made a scone – but I might just be able to master tis recipe. Thanks! I’ll take a batch freshly made and delivered thanks!! 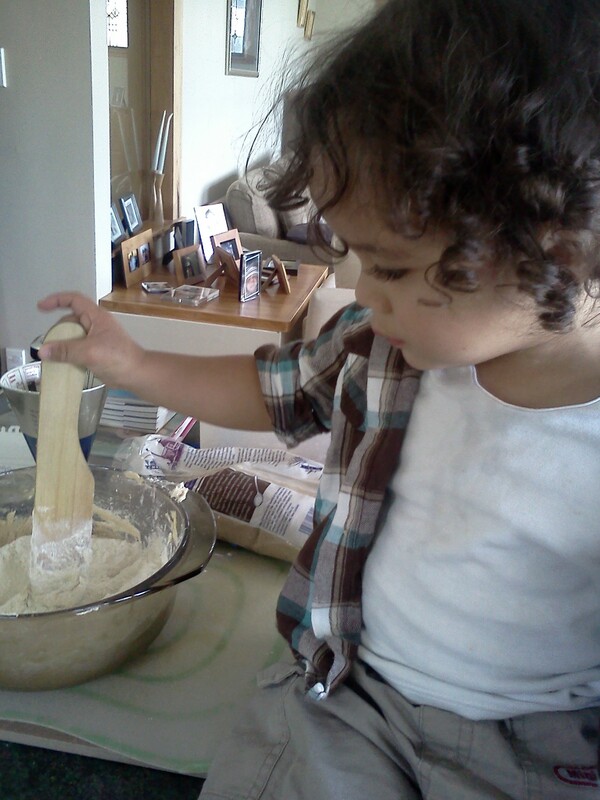 Rosa will only eat Baba’s muffins and scones (apparently Baba is the BEST cook ever and I really should have taken some lessons from her…) so if you can convince Rosa that they are good then I might make some myself!! 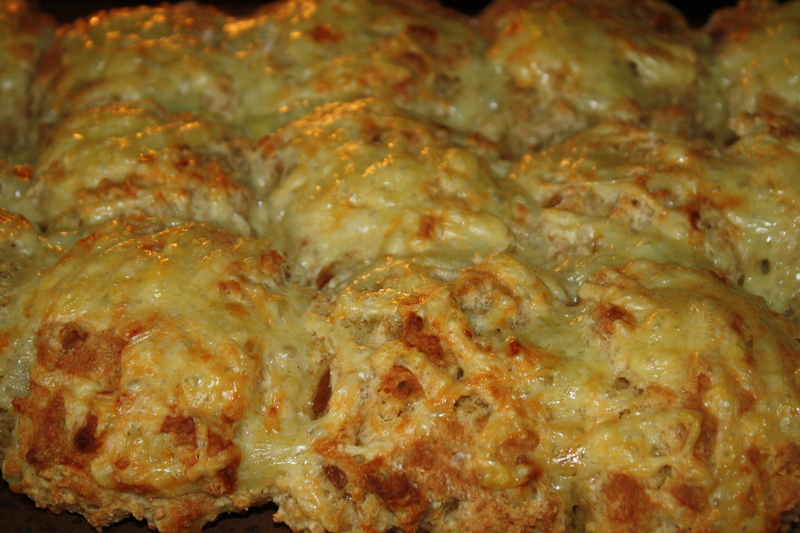 These are really the best cheese scones I have ever made, and believe me I have tried numerous recipes. Absolutely delicious! I will spreading the recipe far and wide! I’m thrilled you like the recipe Becky, thanks for the feedback.